Is Dr. Floras Colon Cleanse a Scam? Dr Floras colon cleansing products are some of the more popular offerings currently on the market. Their site is chock-full of customer testimonials as to the benefits of Dr Floras multi-step program, complete with many photos of what can be expelled while using the prescribed colon cleanse regimen. While Dr Floras Colon Cleanse products contain some helpful ingredients for promoting cleansing, the product line is rather expensive and requires the use of several different potent products, which can be confusing for some users. More troubling, customers note numerous problems with product delivery, refunds, and getting through to a live representative on the telephone. 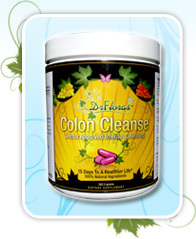 What is Dr Floras Colon Cleanse? Four core products make up the Dr Floras' Ultimate Kit, which is suggested for a "full cleanse:" Colon Cleanse, Cleanse Support, Probiotics, and Parasite Defense. Colon Cleanse contains Psyllimax, a patented fiber ingredient. Colon Cleanse is the primary part of the Dr Floras regimen and is taken one to three times daily, depending on the day of the program. Cleanse Support is a formula which supports the functioning of the body's organs while on the Colon Cleanse formula, and is also taken three times each day. Probiotics is a formula which helps to increase the concentration of "good" bacteria within the body, since many of them are flushed out during the cleansing process. This formula is taken four times each day. Parasite Defense is specifically formulated to eliminate parasites and their eggs. This formula is taken during the second half of the month of cleansing. Is Dr Floras Colon Cleanse a scam? Dr Floras Colon Cleanse products seem to be effective in cleansing the colon, but the results shown on the website may not be typical. In addition, the products are quite expensive: the Ultimate Kit is priced at $177 for a one-month supply. Our biggest concern with Dr Floras products are the many reports of trouble with reaching a live representative and with receiving a refund for returned product. Because of this difficulty, many consumers on complaintsboard.com consider Dr Floras to be a scam. At first glance, Dr Floras money-back guarantee warranty appears to be one of the most generous of all colon cleanse products currently on the market: orders of one bottle qualify for a refund for up to one year from the original purchase date. However, orders with two or more bottles are only refundable for up to 30 days from the date of shipment. Since the recommended treatment from Dr Floras is the Ultimate Kit, which contains four bottles of product, the generous one-year guarantee does not apply. In addition, while the site promises an easy refund in the case of an unsatisfied customer, the consumer reviews tell quite a different story. Customer reviews include reports of increased energy, reduced bloating, improved sleep, better bowel habits, and more. Some customers have complained of problematic side effects while using Dr Floras products, such as bloating, headaches, and body odor. Other customers noted that the colon cleanse regimen from Dr Floras is confusing, with four different products to be taken multiple times each day. Some visitors to Dr Floras website have been offended by the rather graphic photos of what can be expelled during the course of the cleanse. A large number of customers have had problems trying to reach a live customer representative in order to process a refund when they try to return unwanted products. Users complain of unreturned emails and phone calls and of promised refunds that do not materialize. While Dr Floras products contain some beneficial ingredients, we think that a milder type of colon cleanse can be just as effective while being a safer choice, and with better product return procedures, as well. We have reviewed a number of colon cleansing products; many offer the same benefits as Dr Floras, including boosting energy, eliminating toxins, and improving colon health, but in a gentler fashion and at a price which is easier on your wallet. Read our reviews. "Dr. Floras Colon Cleanse is a HUGE scam! I have multiple issues with this so-called cleansing system: the price is outrageous, the money-back guarantee is an absolute fabrication, the customer service is practically non-existent, and the products don't work! I would probably be a little more forgiving about the price issue if I actually saw any positive results from Dr. Floras, but as it stands, I'm convinced it's a scam." "It's a shame that scams such as Dr. Floras are in operation. I ordered this system even though the colon cleansing process seemed a bit confusing; there are four separate products that are all taken at different times. The pictures on the website convinced me that Dr. Floras must really work, but the only change I experienced was a constant throbbing headache. I tried to get in touch with a customer service representative but never received a reply. I want a full refund of my money." "The manufacturers of Dr. Floras are scam artists. Don't be taken in by the claims found on the company website--none of their colon cleansing products work and you will have to fight hard for a refund. It's hard to believe that actual people work in the customer service department since it can take weeks for someone to answer a complaint. Avoid Dr. Floras entirely!" "I am infuriated that Dr. Floras will not issue me a refund. Their colon cleansing system made me feel bloated and sick. They're nothing but a major scam."